Google contacts not showing on Android? Here you will have a permanent fix for it. I had this same issue that I had to search with some funny keywords like “Google contacts not showing on phone” that’s funny, right? I just needed to know why my contacts were not showing up on my Android device. Fortunately, I found a fix for it and as our nature has always been, that is exactly what I’m about sharing with you here today. Can’t keep that to myself. It is no more news that you can save contacts directly to the Google account linked to your Android device. So no worries about low contact storage capacity in your phone or SIM memory. Just save as much contact as you can to Google contact and it will show on your phone as if you saved them in the phone or SIM memory. Thumbs up to Google on this one. I was creating a contact list of some blog users (not this blog) who left me with their contact for updates. To make sure I don’t get them mixed up with the already existing contacts (family and friends), I had to get on Google contacts to edit their details with unique names that will help me identify the blog users from family and friends. I found Google contacts on the desktop to be faster in the modification process so I used it. But heading back to my Android device to use the contacts I modified, I notice there was no change effected. I was like, mehn! What could be the problem, so you mean I just wasted my precious time and losing my contacts in the process? I was not really conversant with Google contacts then, so I could not really understand what was going on. We’ll fix that here together. Before we get this problem fixed, let’s get to find out what was the cause of this problem. That way, you can prevent possible future reoccurrence. This happens basically because you turned off auto sync in your Android device. Although there are other possible causes of this problem which you will get to find out as you read on. If your Android device auto sync is turned off, contacts saved from the phone to your Google account may not be viewed on desktop and vice versa. Even me, I turned off auto sync in a bid to conserving my mobile data since I was currently on a metered connection. I never knew that could cause me that mess, though. Google contacts not syncing can throw you into thinking that you are possessed. So now that you know why your Google contacts were not showing in your Android phone it’s time to share the solution that will permanently fix this problem. The first step to getting this fixed is to be mindful of your sync settings in your Android phone. If you choose not to auto-sync maybe because of unauthorized data usage, then you must make sure you manually sync after each modification to your contact list. Whether the modification was done on the desktop platform or from your Android device, the sync must be turned on to sync the data properly. Saving the contact through your phone to the Google account linked to the phone needs sync to get the contact across to the cloud. 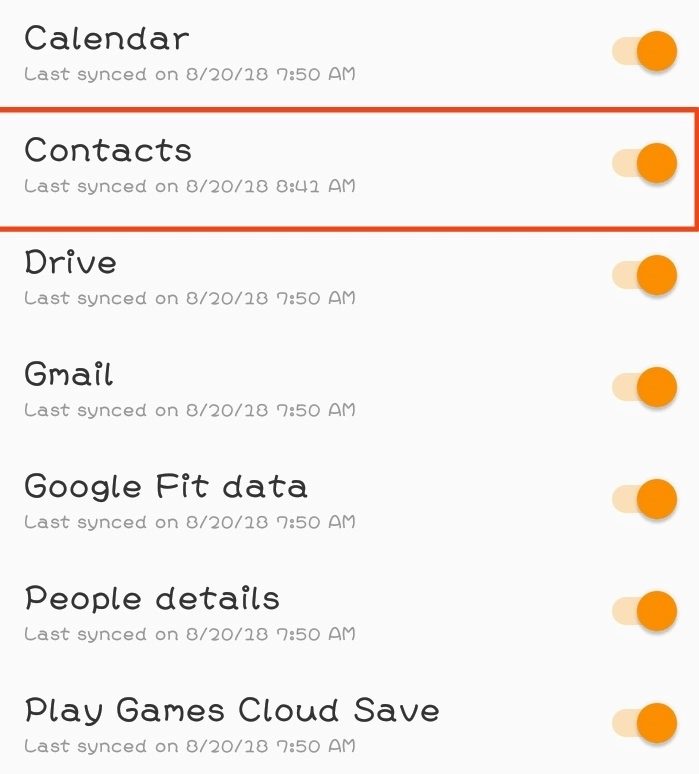 Even when you have the auto-sync enabled, you may still not have your contacts showing up on your Android device. Here are other possible causes of your Google contact not syncing and how you can fix them. 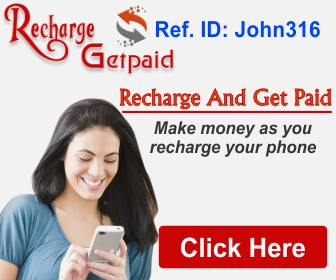 Background Data Usage — Since this process will be done in the background, if you have your background data usage disabled, you may have issues syncing your Google contacts. I shared a post some time ago about how I minimize data usage on my Android device. That will give you insight on how you can control the background data usage on your Android device. Be sure your Google contacts sync is on — There are different types of sync but specifically, make sure that of Google contact is turned on. From the screenshot below, you can see the date that my contacts were last synced. I sync my device frequently, the one you are seeing below was as at the time of writing this article. The last thing I would advice is to remove your Google account and add it again to start things all over again. That will not have your contacts deleted, mind you. The ones that were able to sync will still be there on both platforms. Following this guide will help you get your Google contacts showing up again in your Android phone. If you have any hitch in the course of following this tutorial, please leave a comment below and we’ll be glad to help you fix your Google contacts syncing problem.